As demand for more data increases, cities must plan for a digital framework that looks nothing like today’s infrastructure. As the world urbanizes and cities house increasing numbers of people, the importance of a robust digital infrastructure rises as well. The enormity of data required to satisfy our ever-increasing appetite for digital communication is mind-boggling. By 2022, global IP traffic will reach an annual run rate of 4.8 Zettabytes, three times the traffic of 2017, according to Cisco forecasts. By then, non-PC devices will account for 81 percent of total Internet traffic, demonstrating the extraordinary reliance of smartphones, tablets, web-enabled TVs, and machine-to-machine (M2M) connections on the Internet. For cities to thrive, all the elements of a digital parallel universe have to be interconnected. That impacts everything from employment, housing, and transportation to education, healthcare, and emergency services. Gensler’s Critical Facilities practice has several ongoing initiatives aimed at integrating the digital environment with the broad goals of urban strategy. High Performance Computing Centers that enable the revolution in healthcare and biopharma. Big data and the human genome might one day replace diagnostic/treatment-based clinical care with prevention. That means repurposing traditional wet labs with super-computing and AI. The change will significantly impact urban medical campuses, as outdated treatment facilities in prime urban locations will be repurposed or sold outright to fund other modernizations. Hyperscale Data Centers — as offered by Amazon Web Service, Microsoft, and others — that allow us to connect to our data via the Cloud from nearly anywhere on the planet. Command centers that control utilities and transportation. These facilities are at the very heart of the operation of smart cities. They will become critical additions in older cities that are struggling to repair and update antiquated subways, telecoms, roads, bridges, water, sewer, and power grids. Cybersecurity centers that thwart the attacks on our personal information, finances, etc. Today the biggest threat to computing facilities is not truck bombs or earthquakes — it’s hacking. In the wake of 9/11, the banking industry took it upon itself to build autonomous facilities in risk-averse, rural environments. Government and healthcare soon followed. Now urban locations are making a comeback, because they have better access to decision-makers and people with the skills to maintain complicated systems. These hard-working buildings, which often operate quietly and anonymously to avoid attention, are the key to providing the seamless digital experience everyone has come to expect. They are the building blocks of a smart city. 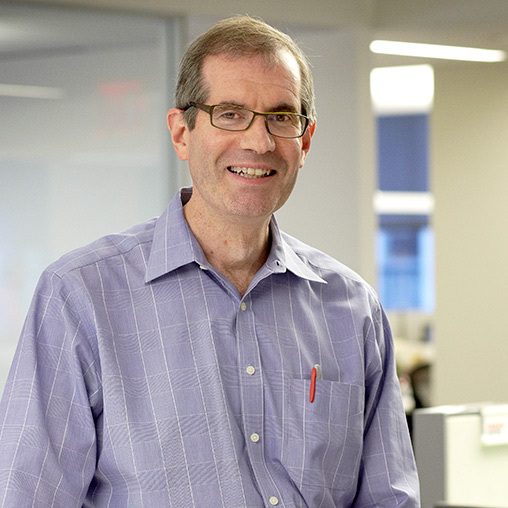 During his 24 years at Gensler, Jim has cultivated a reputation as a go-to resource for the design of technically complex environments and developed a specialty in trading floors and data centers. His work has been implemented on four continents, including the first LEED®-certified data center in North America. Jim’s notable clients include Morgan Stanley, Credit Suisse, Equinix, New York Presbyterian, and Pfizer. Want more of Gensler’s design insights? updates sent directly to your inbox.